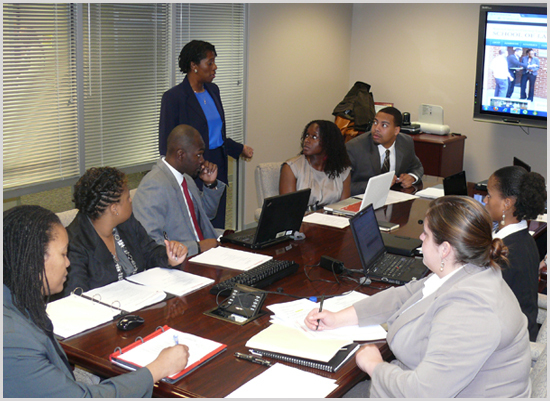 The Clinical Legal Education Program of North Carolina Central University School of Law is committed to producing excellent attorneys who are sensitive to addressing the needs of people and communities that are traditionally underserved and under-represented by the legal profession. Through a diverse body of clinical courses, we offer students an opportunity to pursue justice in a variety of legal disciplines. We teach students to respect the legal process and the dignity of all clients regardless of their station in life. We believe that sensitizing future lawyers to the importance of serving these under-represented clients advances fairness and equity in the justice system, founding principles of NCCU Law.